The one-seat Monza SP1 is one of the first models from Ferrari's Icona range. 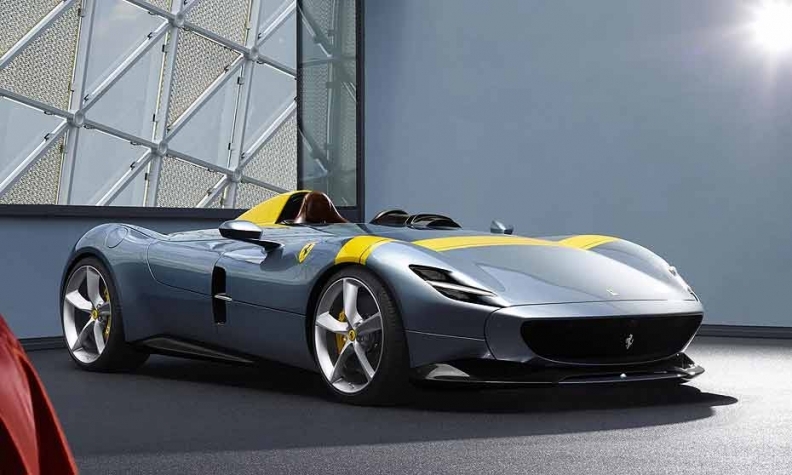 MARANELLO, Italy — The one-seat Monza SP1 and two-seat Monza SP2 — which Ferrari launched here as limited-edition, retro-styled supercars — will erect an entirely new pillar of the company’s car business: the Icona. Icona, which is Italian for “icon,” will be inspired by iconic past Ferraris. They are expected to add to special series by providing limited-edition supercars that appeal to the most passionate and rich Ferrari owners — and thus should allow the company to raise its average profit margins. Fewer than 500 Monzas will be produced. The cars were inspired by the 1948 166 MM Barchetta and 1954 750 Monza, which had the style of the “barchetta” — a term originally used for lightweight, open-top racing cars of the 1940s and ’50s. "Barchettas were the most intoxicating experience for any pilot," Nicola Boari, Ferrari’s head of product marketing, told a news conference Tuesday at Ferrari's headquarters in the northern Italian city of Maranello. Both Monzas will be equipped with a 6.5-liter V-12 engine with 810 hp (603 kW) maximum power and a lightweight carbon-fiber body, offering “the best weight-to-power ratio of any barchetta.’ They will be capable of accelerating from 0 to 100 kph (62 mph) in 2.9 seconds and 0-200 kph (124 mph) in 7.9 seconds. The Monza prices will be disclosed Oct. 2 at the Paris auto show. Ferrari’s special-edition cars typically sell for much more than $1 million. Ferrari CFO Antonio Picca Piccon said Iconas will represent a bit less than 5 percent of shipments in 2022. Given the projected growth in sales, that would mean nearly 500 cars a year. Special series would account for “just more than 5 percent of sales,” Piccon said. Ferrari also envisages a new hypercar, in the spirit of the F40, Enzo, LaFerrari and LaFerrari Aperta. The car will debut after the end of the 2018-22 business plan, although part of the necessary investments is included in the current plan.